The Cast Gallery within the Ashmolean Museum. 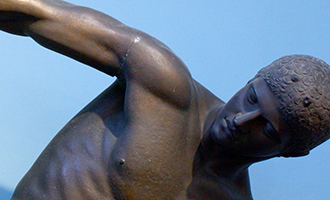 Classics (Literae Humaniores) is a wide-ranging degree devoted to the study of the literature, history, philosophy, languages and archaeology of the ancient Greek and Roman worlds. It is one of the most interdisciplinary of all degrees, and offers the opportunity to study these two foundational ancient civilisations and their reception in modern times. 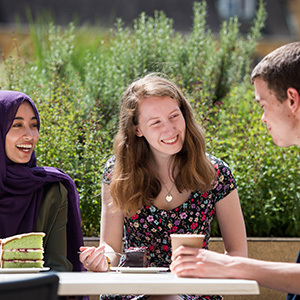 The degree also permits students to take extensive options in modern philosophy, a flexibility which makes Oxford’s Literae Humaniores different from most other Classics courses. 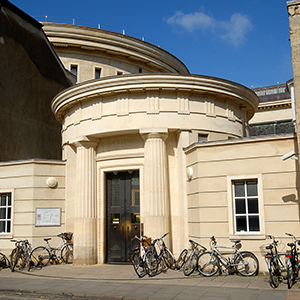 Oxford has the largest Classics Faculty and programme of courses in the world, with outstanding teaching, library and museum resources, including the Sackler and Bodleian Libraries, the Ashmolean Museum and a designated Classics Centre. The course involves extensive study of ancient languages, with a view to studying texts in the original. Applications are welcomed from candidates with and without prior knowledge of Greek and/or Latin. The breadth of courses available means you can study papers ranging from Homeric archaeology to Byzantine literature, while the length of the course allows students to explore the various disciplines within this vast subject and to engage with their particular interests within the classical world in real depth. The Philosophy Faculty is the largest in the UK, and one of the largest in the world, with more than 70 full-time members and a worldwide reputation. Each year the faculty admits around 450 undergraduates to read the various degrees involving Philosophy. Fieldwork is not a requirement in any part of the course, but some undergraduates may participate in archaeological excavations. Your time is divided between lectures, tutorials and private study. The working week is typically structured around two tutorials in different subjects. Most of your independent work will be in preparation of essays for your tutorials, although systematic language-learning and reading of texts will also require considerable time and effort. 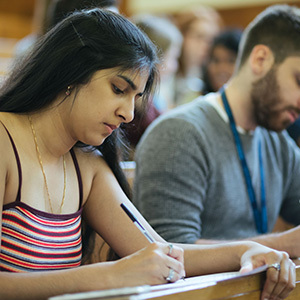 Much of the teaching will take place in your college, but lectures are given in the Classics Faculty and the Examination Schools, and for particular subjects you may also work with tutors from other colleges. For more information, visit the Classics website. Tutorials in colleges usually involve up to three students and a tutor. Class sizes will vary depending on the options you choose, and there are usually 5-20 students in a class. Some classes are jointly taught by two tutors at the same time. For centrally organised language classes in Classics, there are usually 8-10 students in a group. Most tutorials, classes, and lectures are delivered by senior staff who are active researchers in their subject. Many are world-leading experts with years of experience in teaching and research. Some teaching may be delivered by postgraduate students at doctorate level. The options listed here are illustrative and may change. A full list of current options is available on the Classics website. Essential: Candidates should normally have Latin and/or Greek to A-level, Advanced Higher, Higher Level in the IB or equivalent. All candidates must take the relevant section(s) of the Classics Admissions Test (CAT) as part of their application. Separate registration for the CAT is required and it is the responsibility of the candidate to ensure that they are registered for these tests. We strongly recommend making the arrangements in plenty of time before the deadline. Everything you need to know, including guidance on how to prepare, can be found on the CAT page. Description: Two pieces (either essays or commentaries). Normally these will be in areas relevant to Classics. They should preferably not be short, timed essays or exercises answering questions on a short passage of text. Successful candidates will be expected to display competence in Latin or Greek (or general language aptitude if applying for Course II). Tutors are also looking for potential and an enquiring mind, and a real commitment to this wide-ranging subject. For more detail on the selection criteria for this course, please see the Classics website. The breadth of subjects studied and variety of skills learned to a high level leave Classics graduates in high demand among employers. Careers for recent Classics graduates include teaching, the Civil Service, the media, film production, the law, publishing, and further classical study. Interested in studying Classics? You might also like to consider our other Classics or Ancient History courses.